Little heed is given to the Bible, and the Lord has given a lesser light to lead men and women to the greater light (RH January 20, 1903, 3SM, 30). This excerpt from the Review and Herald has been a source of confusion for many over the past century. In what way is the Spirit of Prophecy a lesser light? Is it an inferior degree of inspiration? Is it a waste of time reading it when we have the Bible? I’m prepared to rethink my interpretation of “lesser light.” Are you? It has always been true that most people don’t pay attention to the Bible. The Old Testament had been around for centuries by the time Jesus came to this earth and lived His life. When Matthew wrote his book, was it not for the purpose of leading men and women to the greater light, Jesus? Imagine if Matthew said, “little heed has been given to Isaiah and Psalms and the rest of the Old Testament so the Lord has given the world my book as a lesser light to lead men and women to the greater light, the Old Testament.” That would not make much sense. What God inspired Matthew to write magnified and made more distinct what was in the Old Testament. The purpose of inspired writings has always been to lead people to Jesus, the greater light. Would Paul say that his letters were a lesser light, a dimmer understanding of the way of salvation as compared to the Old Testament—the Scriptures of his day? The primary purpose of his letters was to lead men and women to a saving relationship with Jesus, the greater light. His writings no doubt led men and women to have a renewed interest in the Scriptures. But he would have never said that the primary purpose of my writings is to lead men and women to the greater light, the Old Testament. He would not have told his readers that what he was writing to them was a lesser light as compared to what Amos or Malachi wrote. No prophet of God has ever said that the work God has given them to do was in any sense lesser than what God has given prophets to do in the past. John the Revelator would not say, “the book I just wrote, the Book of Revelation, is lesser than the Book of Daniel,” even though Daniel was part of the sacred canon of Scripture at the time John wrote his book. How should we understand what Ellen White said about her writings leading many to the greater light? When interpreting inspired writings, it is always wise to examine the immediate context and the wider context of all that that writer has written on the issue in question. If we were to look at Mark 9:43-44 without considering wider context we could come to the wrong conclusion that humanity will burn eternally in hell. So it is with our sentence in question. If this sentence was all we had to go on, then the logical conclusion would be that E. G. White's writings—the lesser light—was given to lead people to the greater light—the Bible. Sister White is not the originator of these books. They contain the instruction that during her life-work God has been giving her. They contain the precious, comforting light that God has graciously given his servant to be given to the world. From their pages this light is to shine into the hearts of men and women, leading them to the Saviour. The Lord has declared that these books are to be scattered throughout the world. There is in them truth which to the receiver is a savor of life unto life. They are silent witnesses for God. In the past they have been the means in his hands of convicting and converting many souls. Many have read them with eager expectation, and, by reading them, have been led to see the efficacy of Christ’s atonement, and to trust in its power. They have been led to commit the keeping of their souls to their Creator, waiting and hoping for the coming of the Saviour to take his loved ones to their eternal home. In the future, these books are to make the gospel plain to many others, revealing to them the way of salvation. The Lord has sent his people much instruction, line upon line, precept upon precept, here a little, and there a little. Little heed is given to the Bible, and the Lord has given a lesser light to lead men and women to the greater light. O, how much good would be accomplished if the books containing this light were read with a determination to carry out the principles they contain! There would be a thousand- fold greater vigilance, a thousandfold more self-denial and resolute effort. And many more would now be rejoicing in the light of present truth. He (John the Baptist) was the lesser light, which was to be followed by a greater. The mind of John was illuminated by the Holy Spirit, that he might shed light upon his people; but no other light ever has shone or ever will shine so clearly upon fallen man as that which emanated from the teaching and example of Jesus (DA 220.2). Christ makes no apology when He declares, “I am the light of the world.” He was, in life and teaching, the gospel, the foundation of all pure doctrine. Just as the sun com- pares with the lesser lights in the heavens, so did Christ, the Source of light, compare with the teachers of His day. He was before them all, and shining with the brightness of the sun, He diffused His penetrating, gladdening rays throughout the world ( TMK, 97). 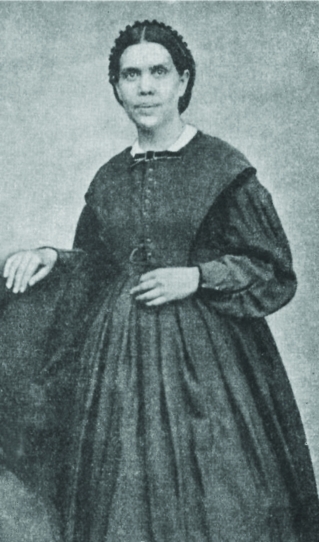 Ellen White is not saying that her book The Desire of Ages was a lesser light as compared to what Matthew wrote. In fact, The Desire of Ages could be seen as a magnification of what Matthew wrote. If we were to speak of brightness in comparing inspired writings with inspired writings we might say that Matthew’s writings were a bit brighter than Isaiah’s writings and Ellen White’s writings magnifies and makes brighter the story of Jesus even more. But the idea that inspired writings that follow after other inspired writings are dimmer than what came before is not a rational thought. It is much more rational to say that the work of Ellen White is the same as that of all God’s messengers: to lead men and women to the greater light, Jesus Christ.